Is your bathroom looking tired? 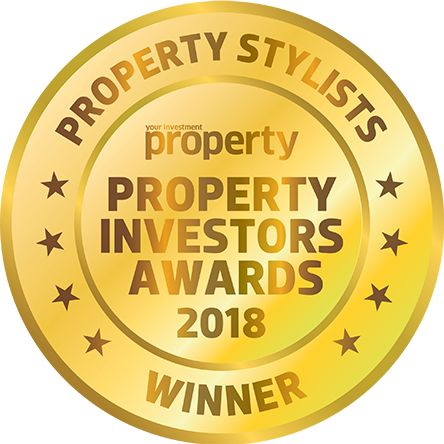 Need to give it a refresh but not sure where to start… Whether you going for a complete renovation or looking for some quick wins to boost your presentation, we’ve got you covered. 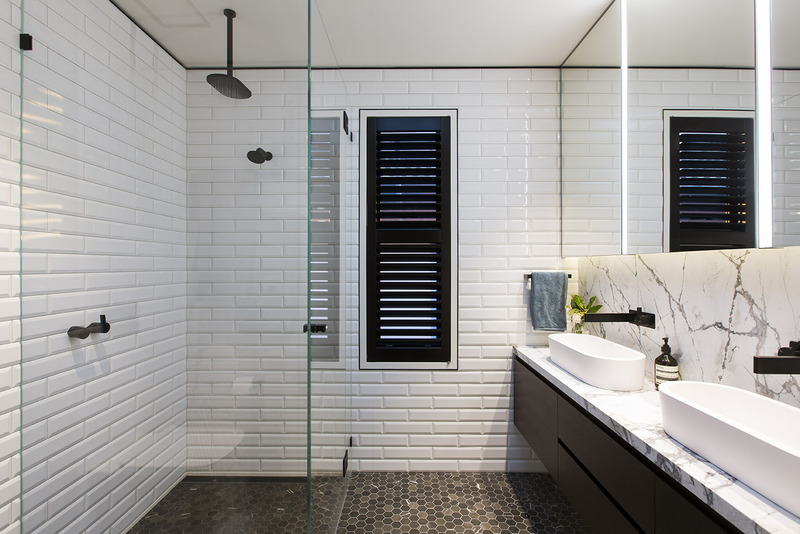 A complete bathroom renovation will set you back on average between $15,000-20,000, depending on the size of the bathroom and the quality of finishes you select. To save costs go for large scale tiles – especially if you are flipping the property. This is one of the most cost effective and fastest tiling options and it will make the room feel more spacious. Freestanding bath tubs and waterfall shower heads give an amazing designer look and would suit a mid to high-end property. 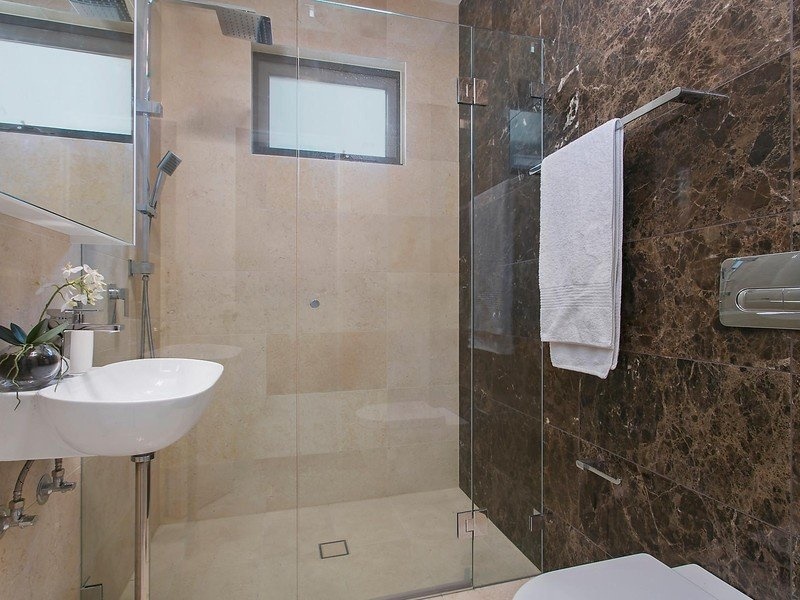 A grey colour palette paired with natural stone is very on-trend at the moment for bathrooms. If you are renovating to sell always stick to neutral colour palates so you can appeal to the largest market possible. If you are personally inclined towards a bolder look then add colour, pattern and texture through accessories, towels or any unfixed items. If you haven’t go the time or inclination for a full bathroom renovation you can still improve your bathroom with some quick wins. Try swapping the current vanity/shaving cabinet for a new one and updating your tap ware. Again, classic neutrals are your best bet – don’t get too caught up in fancy trending tap ware unless you plan to carry this look throughout the whole property. Spraying old bathroom tiles with white paint is also an affordable way to spruce up your bathroom space. This method can help to hide or detract from any dated tile motifs and discoloured or old tiles. If your toilet is old you could also consider replacing this with a new one. Add a pendant light as a design statement if you have the space and facilities to do so. These quick tricks will set you back closer to the $3,000 mark. If DIY is not your thing or you simply don’t have the budget for even a quick refresh, try these tips to improve the look and feel of your bathroom. Start by going to town with cleaning. A professional cleaner will be able to help remove soap scum build up, mould and improve the look of stained tiles. Add some new bathroom accessories such as a nice soap dispenser, new towels, a toilet paper holder and a scented candle or diffuser. Throw away any old shower caddies and replace with new ones – go for enclosed ones that conceal the product labels for a neater look. Store any loose items such as bathroom toys in a storage container such as a wicker basket with a lid. 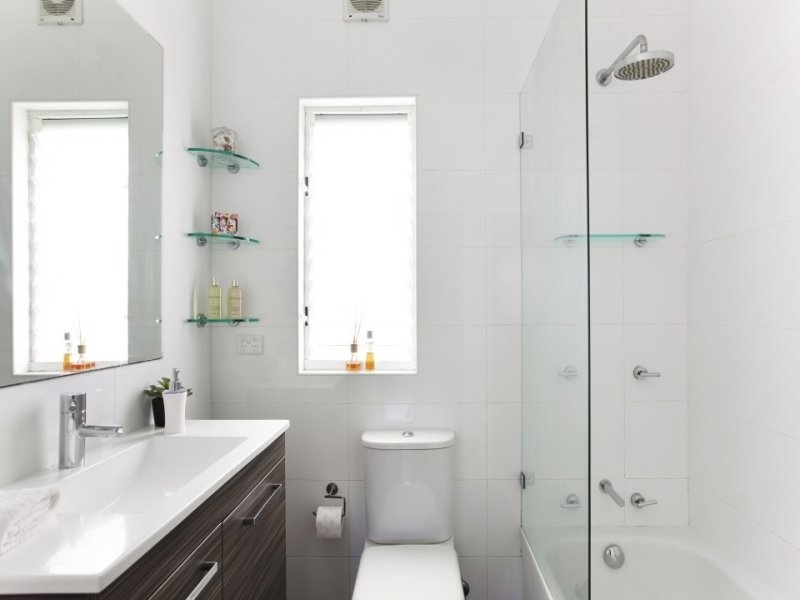 Furniture can also be a great way to update your bathroom without investing in a renovation. If you have the space incorporate an occasional chair for a luxury look. Adding a free standing shelving unit can also add great visual impact and afford you more storage space – anything metallic such as brass or gold is very on-trend at the moment. Another way to add some visual impact at a marginal cost is with a statement mirror. A gorgeous mirror can take a dull bathroom from drab to fab! 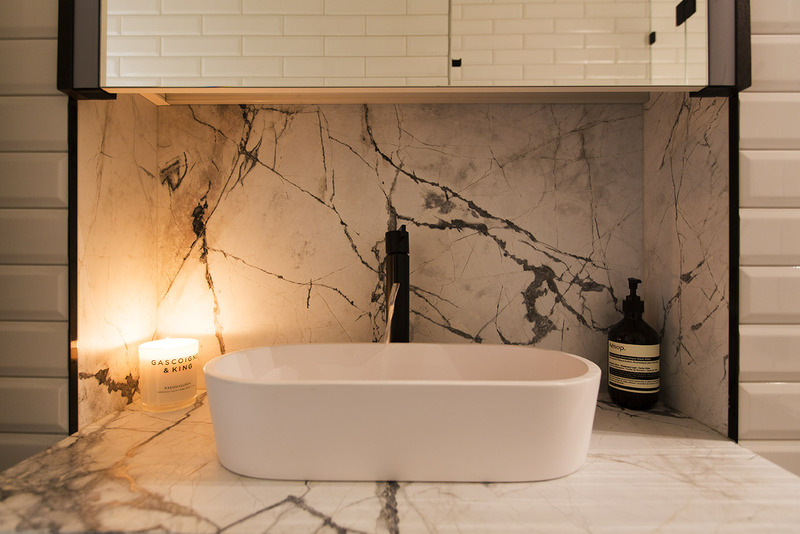 Vault Interiors are specialists in property styling in Sydney. We help home owners present their homes for sale and achieve fantastic results.  Learn more about the advantage of home staging and display furniture hire by contacting us.